Over at TTAG, the question of the day is "How can the NRA become less white?" It's generating a lot of heated response in the comment section, ranging from those feigning indignance, those who are politically ignorant, and those who constructively embrace the question. Nobody can show demographic data in the NRA. If the data's there, present it. Until that time, the question stands. 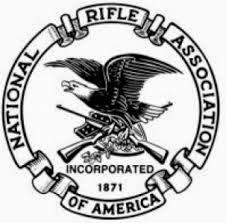 It's not a zero-sum game, it's additive - it's about making sure everyone feels comfortable and welcome in the NRA and increasing membership. RKBA is broader than America, but it's lobby should represent the diversity of America. So how can the NRA become less white?? My Take: It comes right down to outreach, and singular focus on RKBA. The NRA cannot afford to be seen as a wing of the Republican Party or as taking sides in other culture wars. The other week a friend who is non-white and lesbian told me she was a member of the NRA and I nearly jumped for joy! We need everyone to feel welcome, and it doesn't mean sacrificing the defense of natural rights to do so. It means educating, enlightening, and demonstrating how the issue affects each of us. Firearms are a force-leveler. Unless you've got the skillz of Tony Jaa, you're likely not defending yourself against larger assailants, much less multiple assailants, without a firearm. This is especially important to anyone who may feel they might be a target of hate crimes. When seconds count, the police are minutes away. 'Nuff said? Hardly. The Supreme Court has ruled that the police don't have any duty to defend you. They're the mop-up crew, and they can bring their own problems. Additionally, most of us don't have a "safe room" in our house that we can retreat to while we wait for police. We each have a responsibility to protect ourselves and our loved ones. Moms Demand Action? Here's a Mom That Took Action! If someone has crossed the moral Rubicon and already decided to do you felonious harm, gun laws are the least of their worries. Not only are more people killed annually by hammers and fists than by 'assault rifles', criminals by definition consider themselves above the laws that would 'control guns'. One reason the NRA and other groups oppose gun control is because it puts a prior restraint on the law-abiding, not the criminals. Gun control laws are firmly rooted in a history of discrimination. In 1689 when the right to bear arms was included in the English Bill of Rights, it was in response to Catholics holding the right but prohibiting Protestants from the same protections. In America, the Dred Scott decision prevented citizenship to anyone of African ancestry, precisely because it would confer the right to "carry arms wherever they went." As history shows, access to and ownership of firearms was key to black liberty; gun control measures in the 19th and 20th centuries were often specifically about keeping guns out of the hands of black folk. Today, it's often a class-rift - the people leading the gun control efforts are of the type that can afford their own security details, though they'd deny self-protection rights to those who can't afford a bodyguard. It's a "rights for me but not for thee" mentality that needs to be opposed with advocacy for the natural rights of all responsible humans, regardless of religion, race, wealth or other distinctions. For the seriously political - one can also talk about the lessons of Tiananmen Square, the lessons of the Spanish Civil War, any aspect of American history, or any other examples in history that clearly warn us against giving the state a monopoly on guns. There are many more talking points, but the above are some of the most accessible to help people understand the importance of their own responsibilities and protecting the Second Amendment. Came here from your post at TTAG. I like your blog a lot. I'll be back. Thanks for the feedback, I'm glad you like it! Beer & Yeast, Says Biochemical Genius!